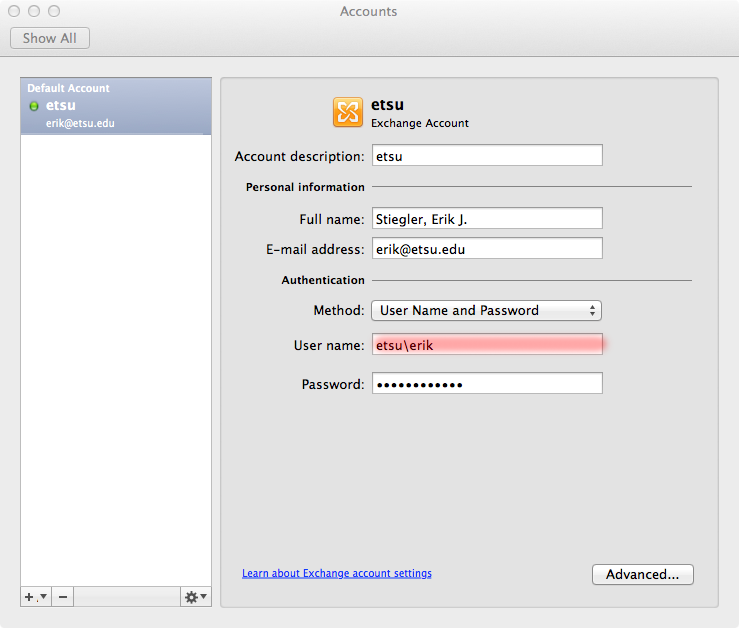 to your e-mail address (username@etsu.edu): Do not include the word "mail"
Previous Method to enter username and domain! 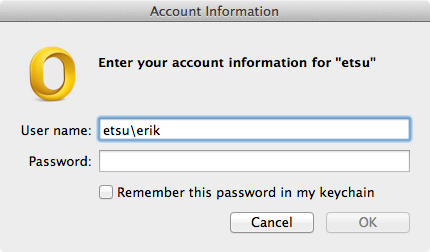 CORRECT METHOD TO ENTER USERNAME!!! 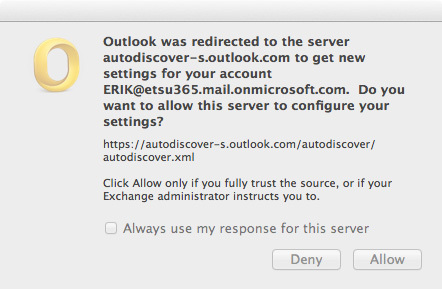 Lastly, check the box "Always use my response for this server" - Allow.